Havana is known for historic sites, nightlife, museums, beaches, and parks. Your plan includes some of its best attractions: appreciate the extensive heritage of El Malecon, make a trip to Old Havana, steep yourself in history at Castillo de San Carlos de la Cabana, and get engrossed in the history at Museum of the Revolution (Museo de la Revolucion). Ask Inspirock to suggest an itinerary and make planning a trip to Havana fast, fun, and easy. Melbourne, Australia to Havana is an approximately 25-hour flight. You can also do a combination of flight and train. Due to the time zone difference, you'll gain 15 hours traveling from Melbourne to Havana. In January, plan for daily highs up to 30°C, and evening lows to 19°C. Finish up your sightseeing early on the 22nd (Tue) so you can travel to Cayo Largo. Start off your visit on the 23rd (Wed): tour the pleasant surroundings at Sirena Beach and then look for all kinds of wild species at Sea Turtle Hatchery. Get ready for a full day of sightseeing on the 24th (Thu): kick back and relax at Playa Mal Tiempo and then stroll through Playa Paraiso. For photos, where to stay, other places to visit, and tourist information, read our Cayo Largo trip maker . Traveling by combination of taxi and flight from Havana to Cayo Largo takes 1.5 hours. 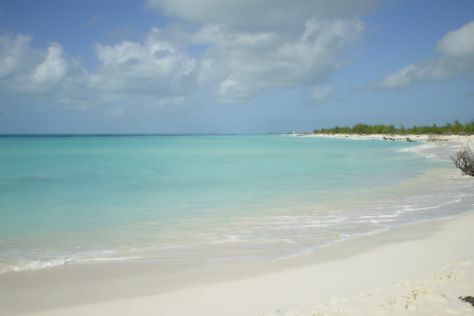 In January, daytime highs in Cayo Largo are 32°C, while nighttime lows are 22°C. 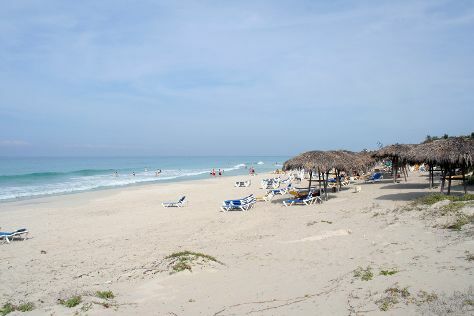 Finish up your sightseeing early on the 24th (Thu) so you can travel to Varadero. One of the largest resort towns in the Caribbean, Varadero boasts a 20 km (12 mi) long stretch of sand, lined with hotels and all-inclusive resorts. Kick off your visit on the 25th (Fri): admire nature's wide array of creatures at Delfinario, then tour the pleasant surroundings at Josone Park, then get a taste of the local shopping with Artecru, and finally enjoy the sand and surf at Varadero Beach. Get ready for a full day of sightseeing on the next day: get outside with Parque de la Libertad, then see the interesting displays at Pharmaceutical Museum, then explore the fascinating underground world of Cuevas de Bellamar, and finally Head underground at Saturno Cave. To find reviews, traveler tips, ratings, and other tourist information, use the Varadero day trip tool . Do a combination of flight and bus from Cayo Largo to Varadero in 3 hours. Traveling from Cayo Largo in January, plan for slightly colder nights in Varadero, with lows around 19°C. Finish your sightseeing early on the 26th (Sat) to allow enough time to drive to Vinales. On the 27th (Sun), admire all the interesting features of Palenque de los Cimarrones, admire the verdant scenery at Valle de Vinales, and then trot along with a tour on horseback. To find maps, other places to visit, reviews, and tourist information, use the Vinales holiday planner. Traveling by car from Varadero to Vinales takes 4.5 hours. Alternatively, you can take a bus. 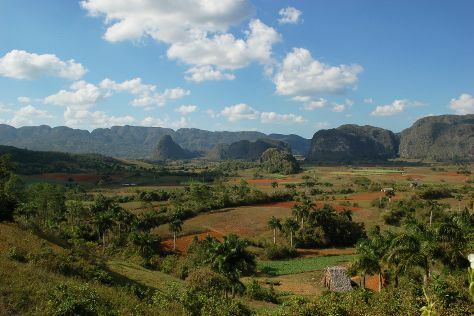 January in Vinales sees daily highs of 31°C and lows of 20°C at night. Finish your sightseeing early on the 27th (Sun) so you can travel back home.